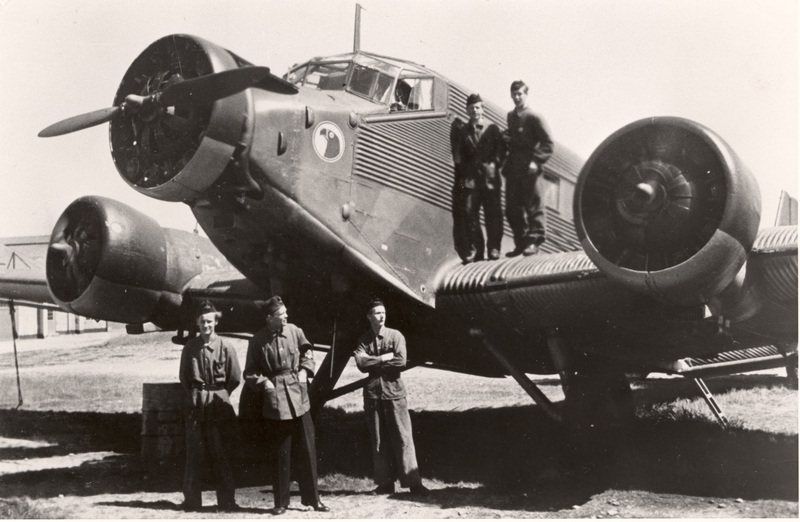 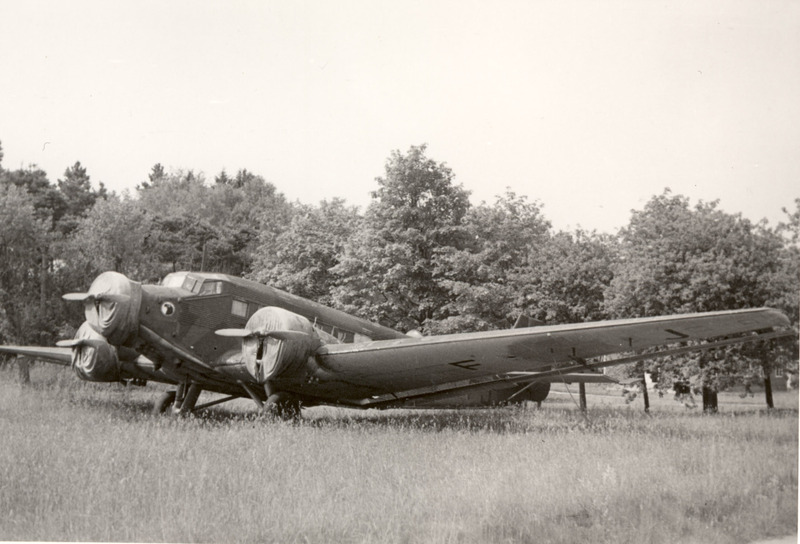 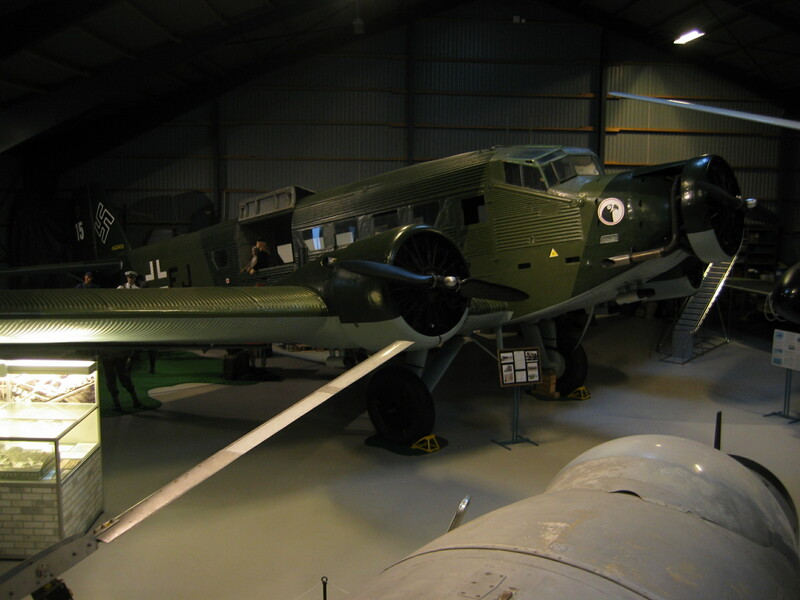 The Bonarpshed Aircraft Junkers Ju 52/3m g14e U-1 werk # 640416 DP+FJ. 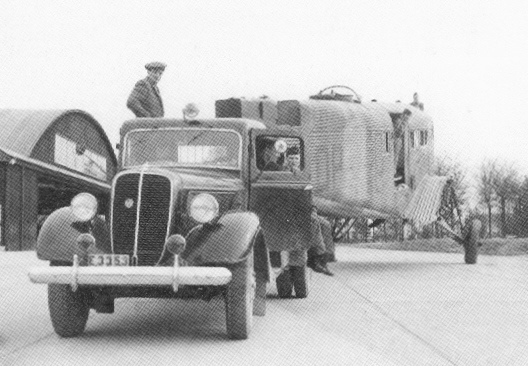 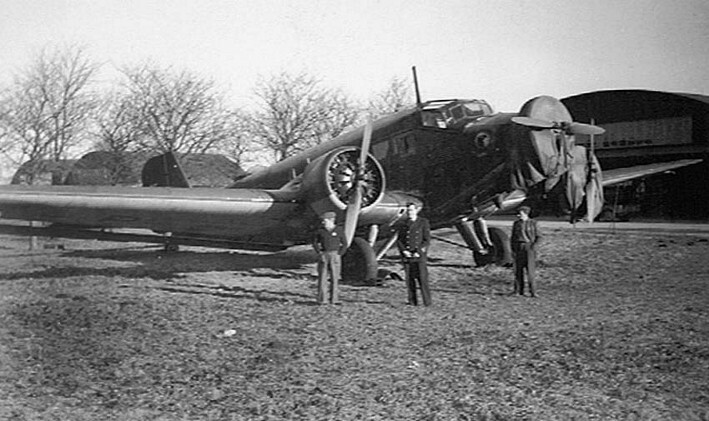 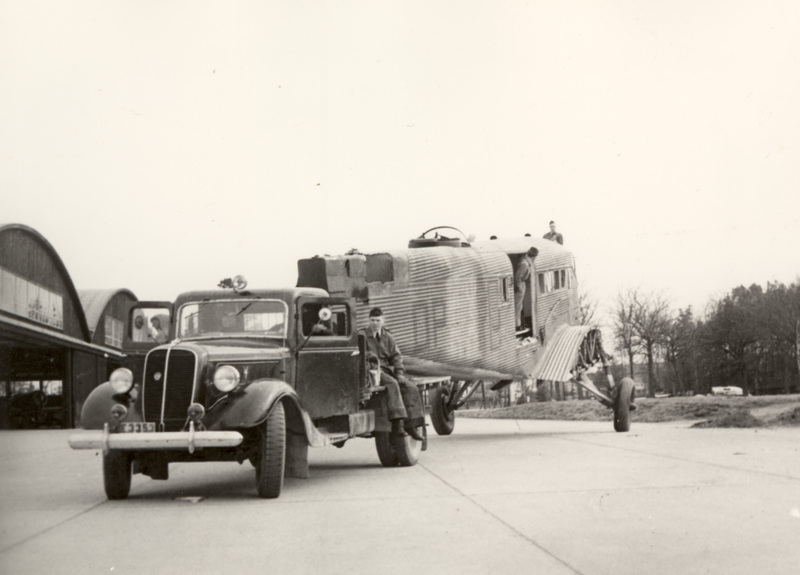 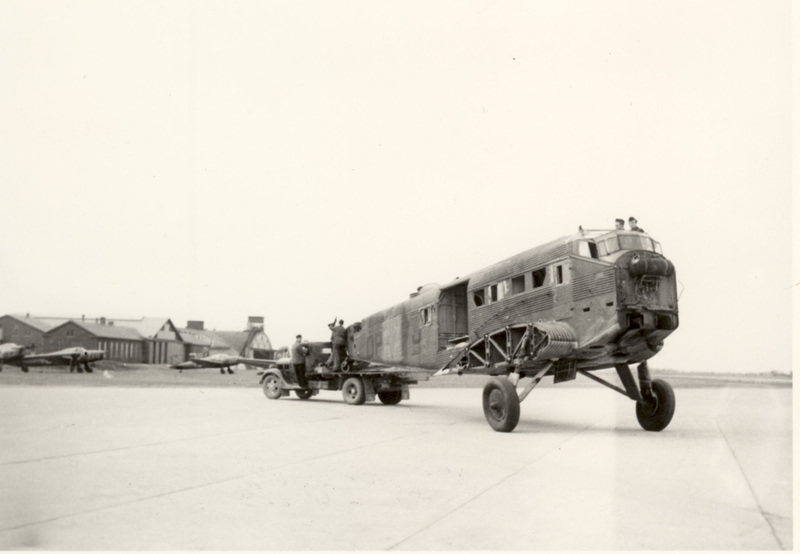 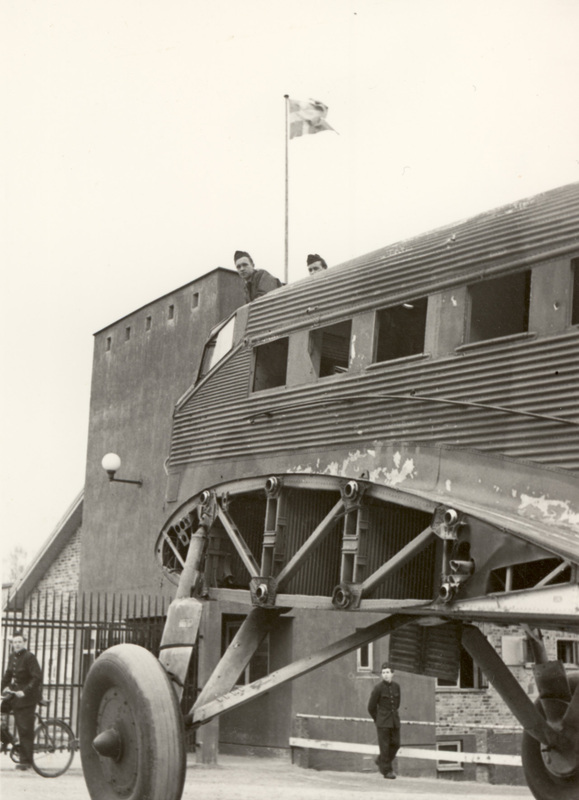 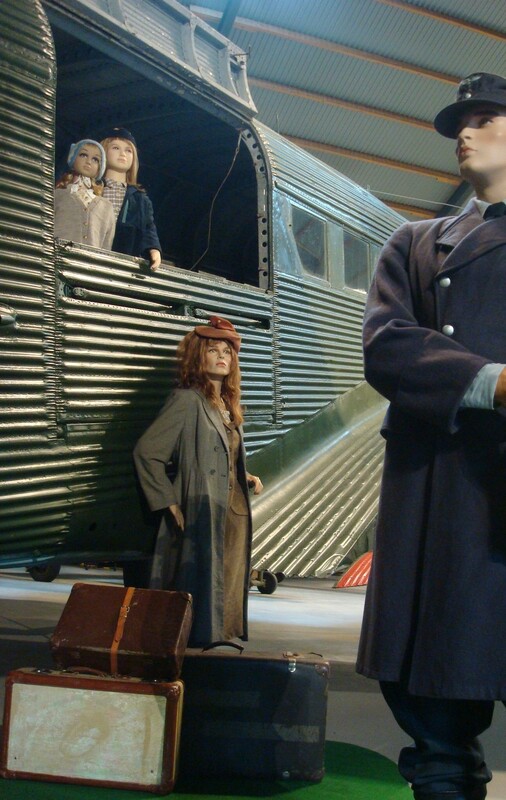 The Aircraft was transported to F5 Ljungbyhed, where it was left standing until 1950 when it was scrapped. 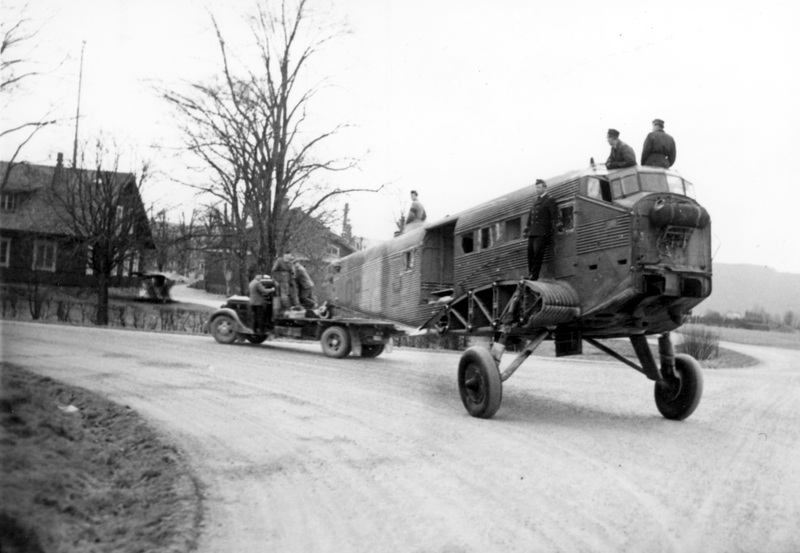 Swedish mechanics testdrive the engines at Ljungbyhed. 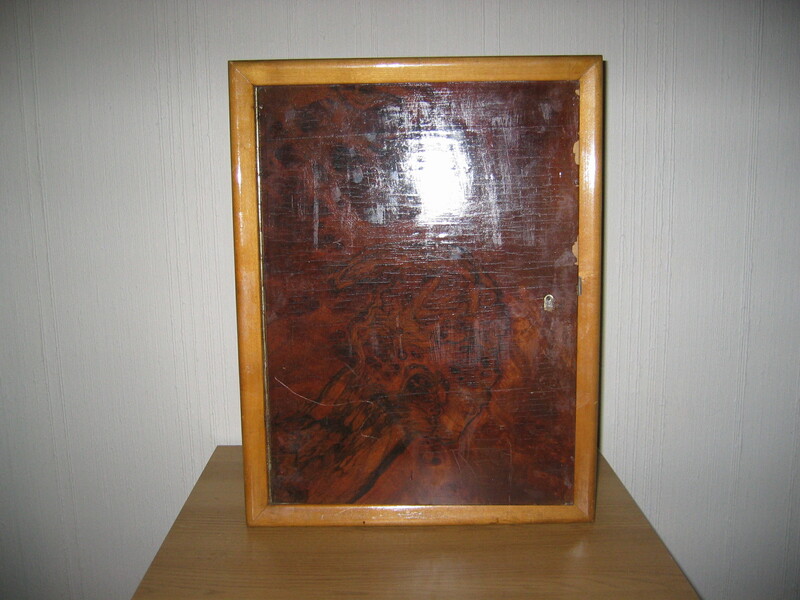 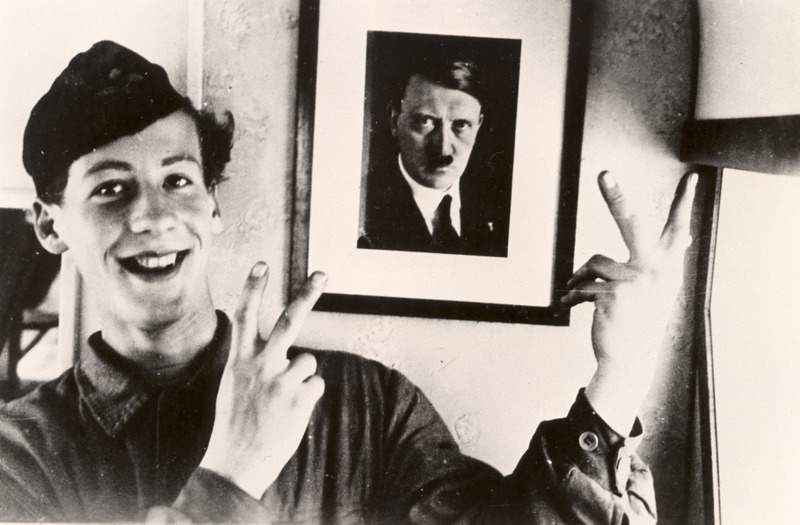 Gösta Kersmark inside the plane with a picture of Adolf Hitler. 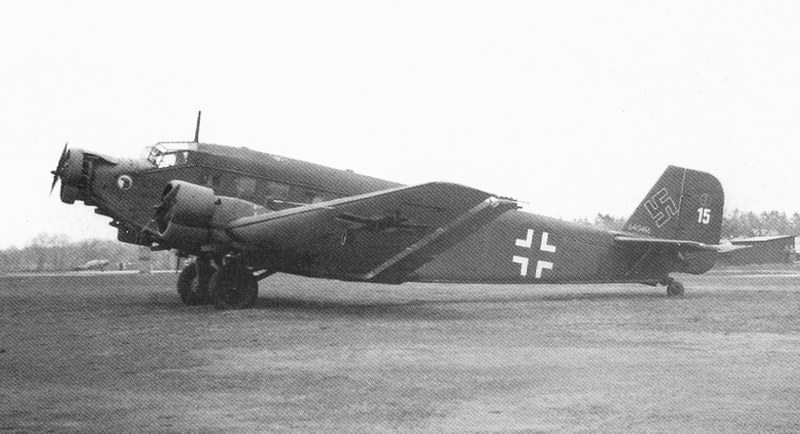 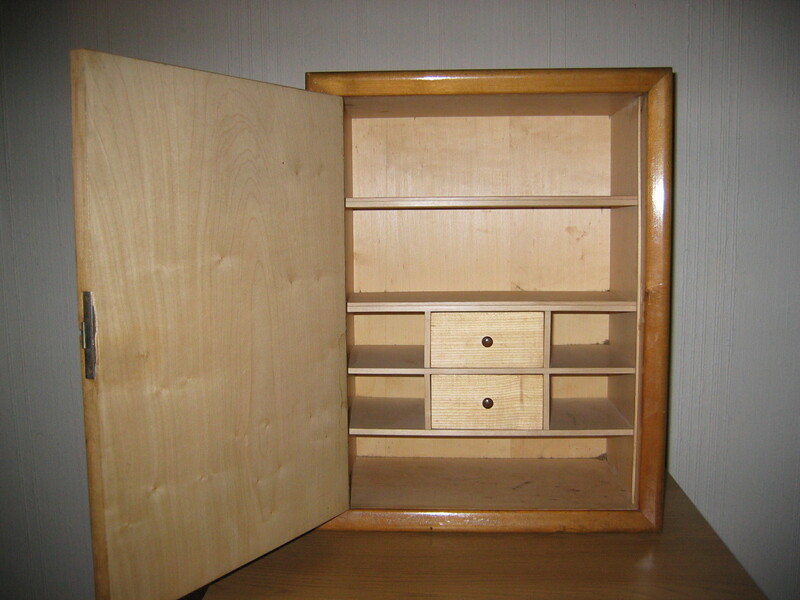 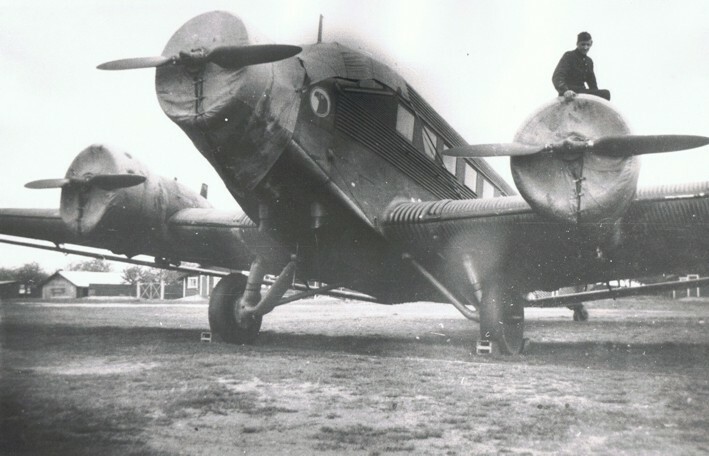 g14e had the big loading hatch. 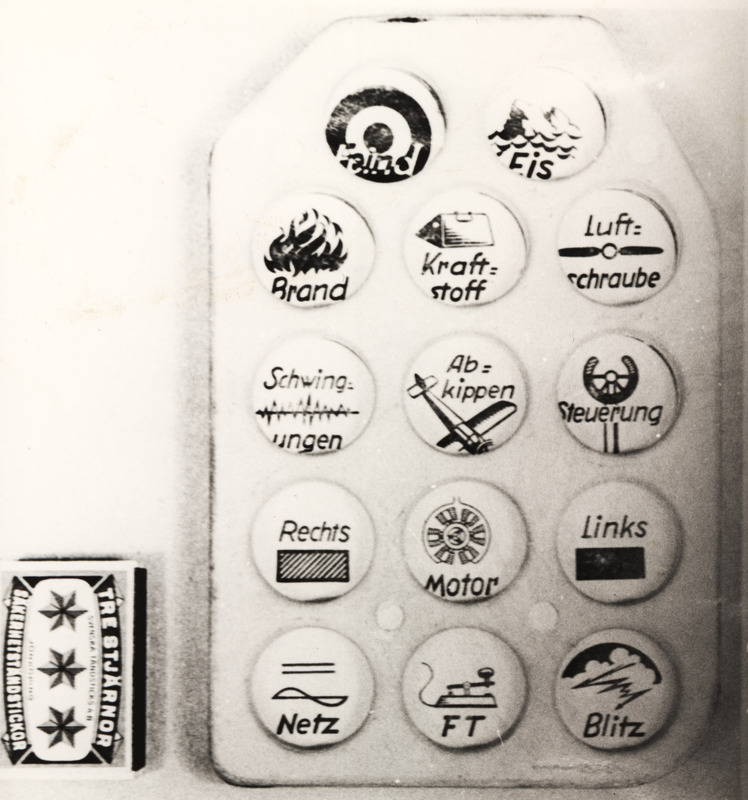 The Aircraft was equipped with the "Unfallsmelder" made of china with different symbols to be pushed in in case of crash. 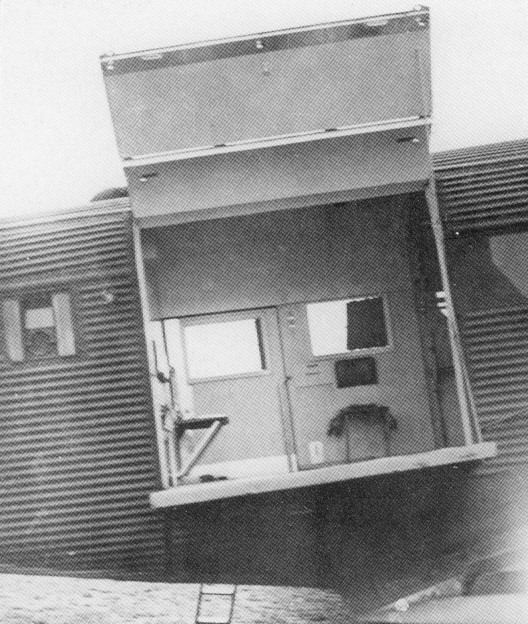 "Unfallsmelder" was concidered easy to spot and useful in the crash investigation. 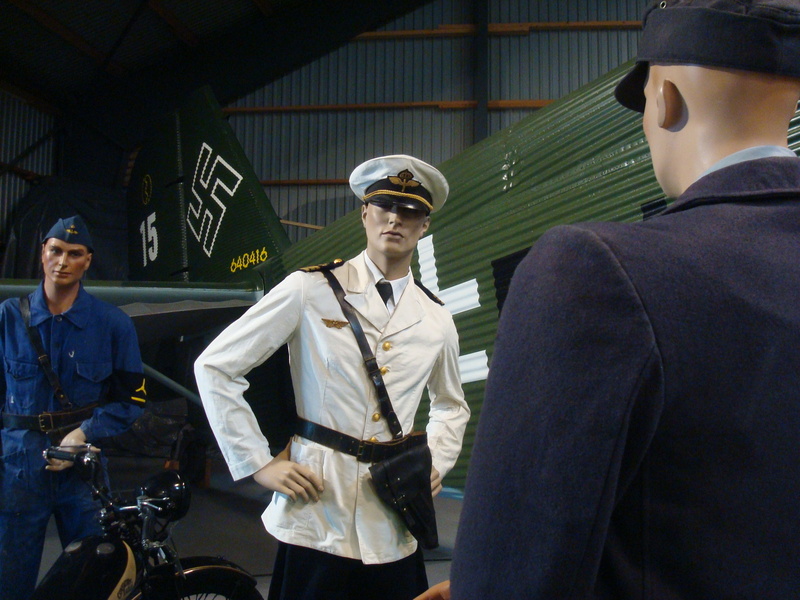 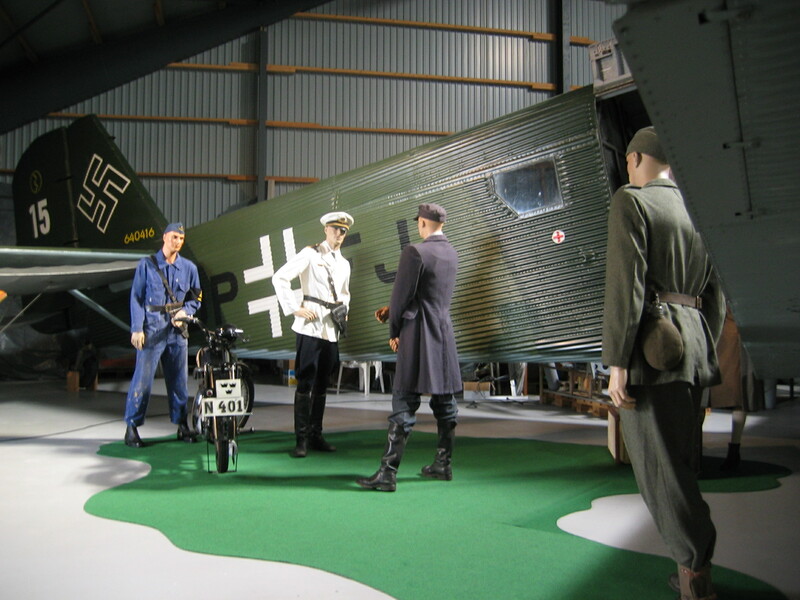 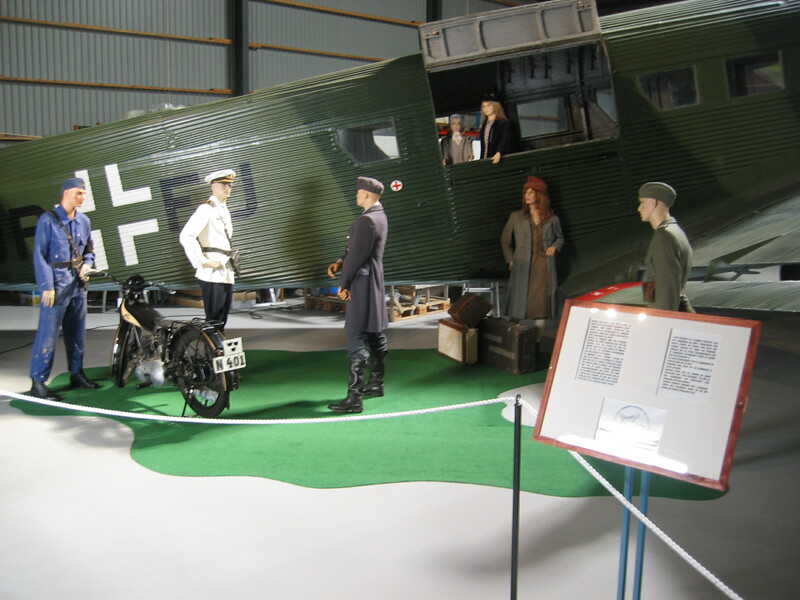 The Aircraft displayed at Ljungbyhed. 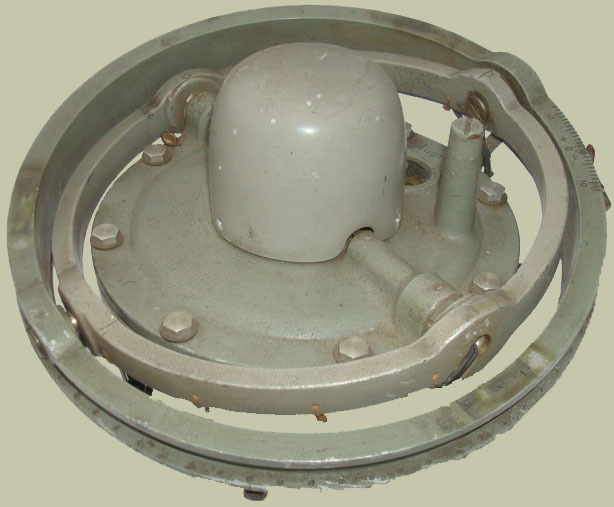 The main compass from the aircraft is preserved in FLC-collection.